You are currently browsing the Archaeofacts.com archives of Musings for the day Tuesday, September 25th, 2018. We intended to head to the Falls, but the view north was just plain murky, with no indication that it would clear. 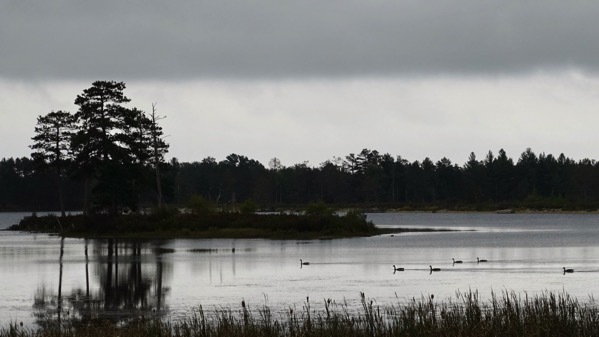 This is the view across the Tahquamenon swamp, which isn’t visible over the tree line, as it would be on a clear day. Since the falls are northeast, we felt the pretty index would be…muted. 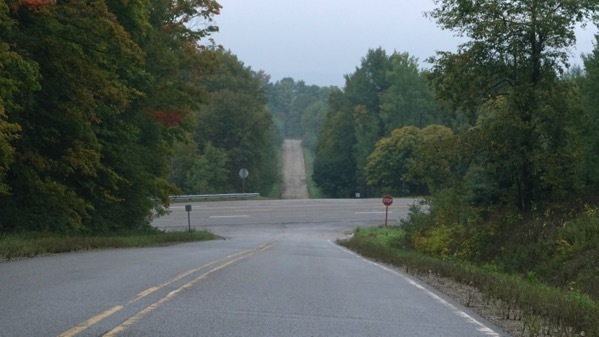 The unpaved road across the highway goes into the center of the ghost town of Laketon. Last time we cruised Laketon, there was one standing house and one mobile home, both abandoned. Given the overcast, we decided to instead head to the Refuge, and take the wildlife drive. We took the fishing loop option, which we do less frequently than the “regular” route. We even saw a couple with a big pike, perhaps twenty inches long, removing the hook from the fish’s mouth—but, ironically, that was before we got on the fishing loop. 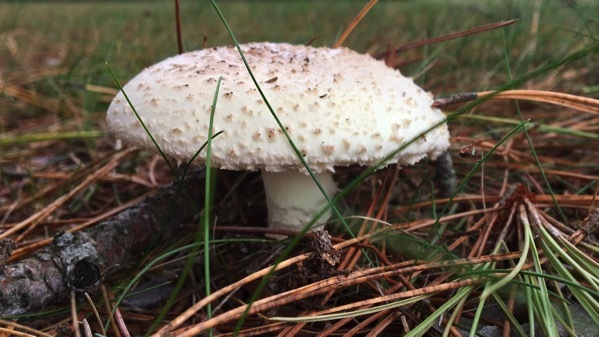 While in general, the murkiness and sometimes a light rain, did obscure the beginning of fall color, we did find a few fungi, encouraged by the recent rain (including overnight).